Netanyahu announces cyber defense facility in Be'er Sheva. IBM senior vice president reveals cooperation with Ben Gurion University. 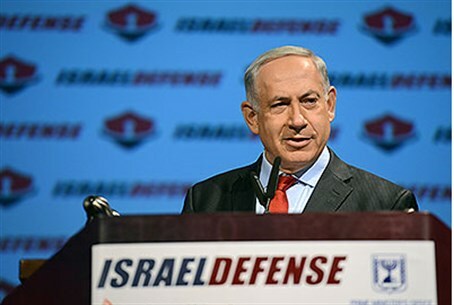 Prime Minister Binyamin Netanyahu opened the CyberTech 2014 Conference in Tel Aviv on Monday, announcing the opening of a cyber defense facility in Be'er Sheva. Senior Vice President of IBM Steve Mills was also in attendance, announcing joint plans between his company and Ben Gurion University. Netanyahu commented on the benefits of the "world of the internet," even while noting its dangers, which including hacking and cyber warfare. He remarked Israel is preparing by increasing digital connections, and encouraging entrepreneurs. Netanyahu noted that at the World Economic Forum in Davos, Switzerland, he lauded Israel as the "innovation nation," where he remarked the country "develops more conceptual products per capita than any nation on earth." Indeed, recent research found Israel is among the top ten most powerful nations in the world. Efforts to secure Israel digitally have been ongoing; a new state-of-the-art "Cyber Gym" was opened last December by the Israel Electric Company (IEC) to train IT and infrastructure company employees to defend against cyber attacks.